Sourced from the higher elevations of Monterey County, along the Santa Lucia wine growing region, Higher Ground is a high quality Pinot Noir in an elegant, sophisticated package, with tactile appeal meant to be touched and appreciated up close and personal. 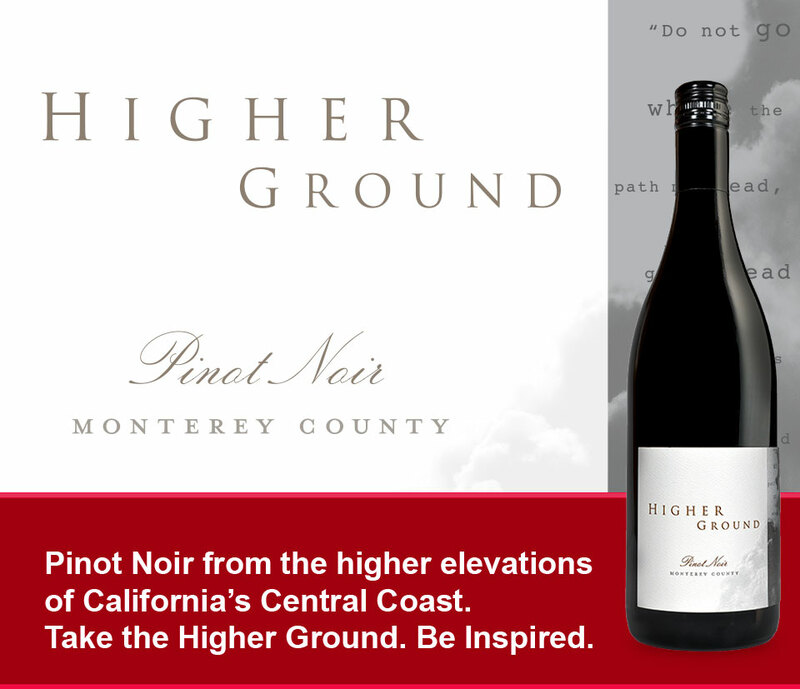 Higher Ground is a Pinot Noir only, On Premise only brand, crafted by Winemaker, Alison Crowe. Higher Ground Pinot Noir is offered exclusively to fine restauranteurs and hoteliers.